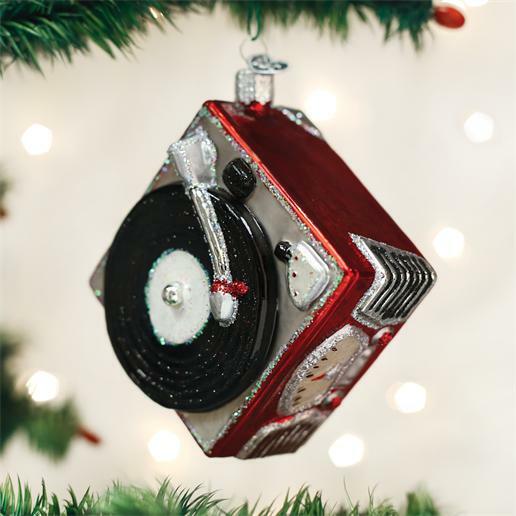 Home > Old World Christmas - Traditional Glass Christmas Ornaments > Old World Christmas Glass Ornament - "Record Player"
The record player's origins trace back to the invention of the phonograph by Thomas Edison in 1877. The record player was widely used until the 1980s. Despite technological advances in music, many people prefer the sound of a classic record player and collect records and players alike.